I am so excited to share this with you all!! 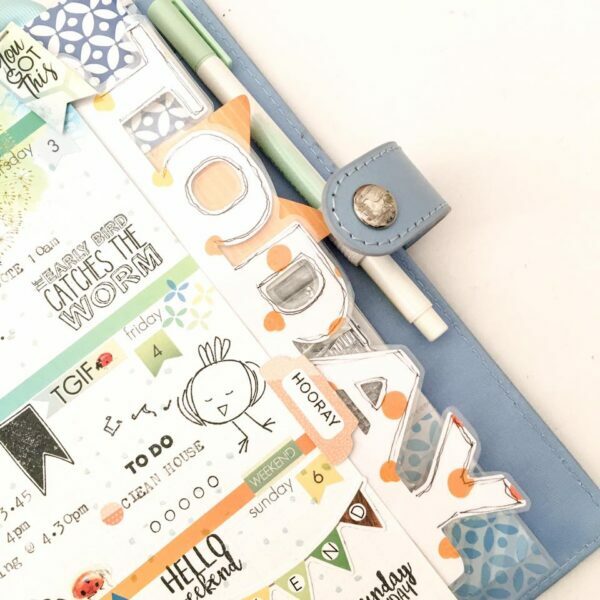 This month arleigh teamed up with one of our Planner Design team members Jennifer Miller Crowder (@happyplaceplanning on Instagram) to bring you these awesome free cut files for you to use with your planning! Download them here. 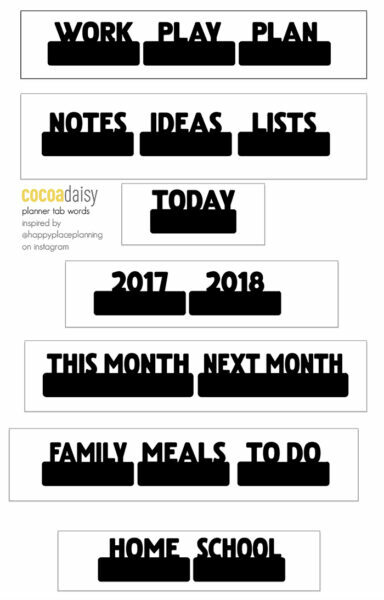 These cut files can be used to make bookmarks, tabs, and anything else you can think of for your planner. 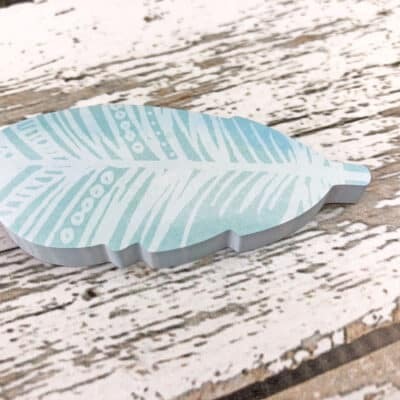 They can be laminated to make them more sturdy and used over and over again! 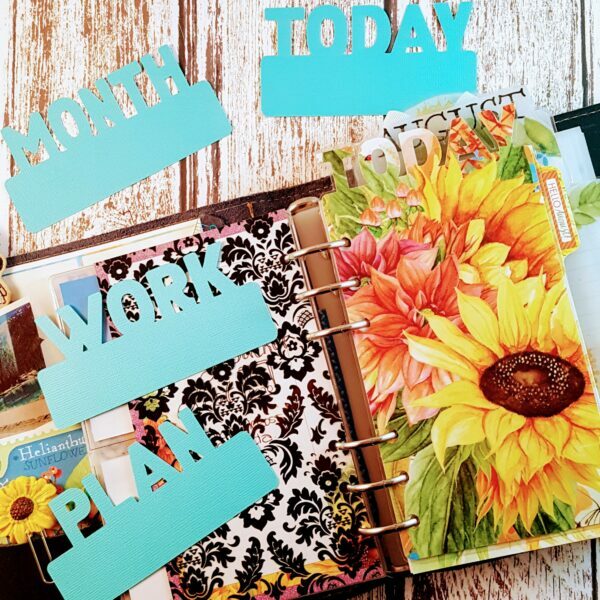 This set of cut files is great for top tabs as well as side tabs as pictured here to incorporate into your planning, I love the way Kylie outlined the letters here on this one, so cute!! I have created 2 videos for you to help you with the tab files. The first one is sort of a 101 for the cut file. 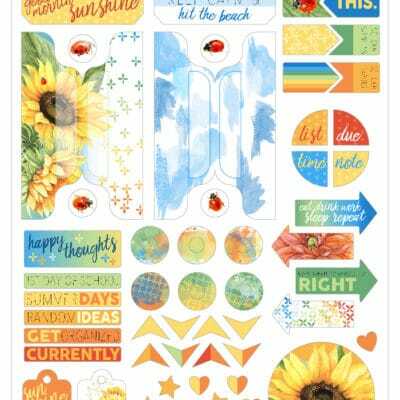 Each month arleigh creates cut files for Subscribers, luckily this one has been made available for you to download for free here on this post!! The first video walks you through how to get cut files if you are getting them from your subscriber folder on Cocoa Daisy website, and the different types of files to chose from depending on which silhouette software you have, and how to manipulate them and get them ready for cutting. The second video is how to cut them, as well as manipulate them to make them different sizes for different uses. 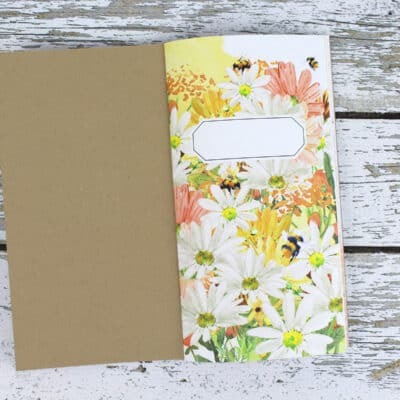 You can see here that I changed the cut file to have a larger bottom so that you can cut a full bookmark/divider with the cut file all in one piece. 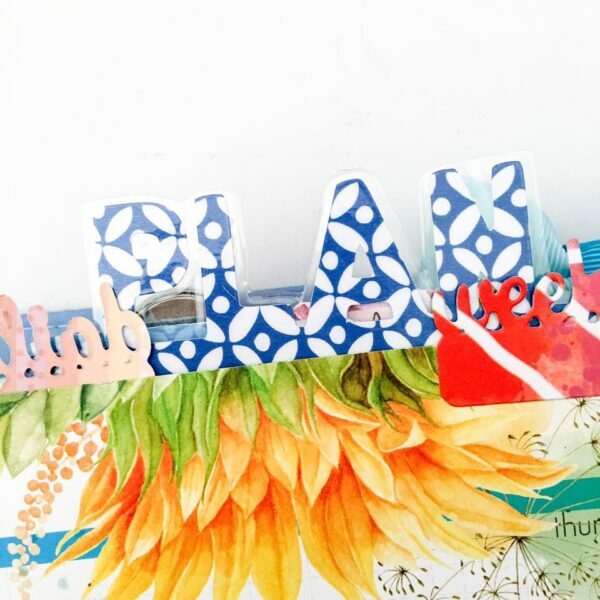 I hope you’ll have fun working with these cut files in your planner! I can’t wait to see what you all will create with them! September Planner Set Up with Birds and Typewriters! Oh My! Let's Go Off The Page ~ With Kylie. Thank you for taking the time and creating all these wonderful tutorials. I hope we can refer people to your post!